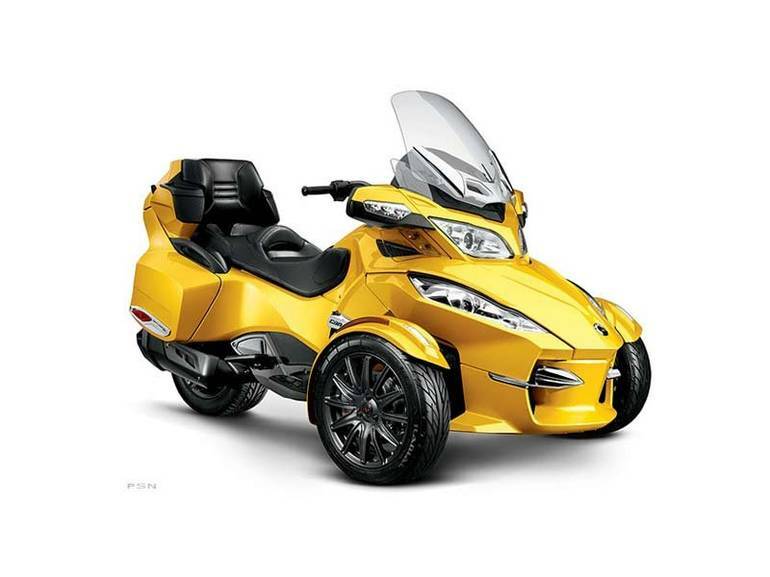 2013 Can-Am Spyder RT-S SE5, Can-Am Spyder RT-S - Add a little edge to touring with the Spyder RT-S. The custom trim package and exclusive 15-inch wheels give it a unique look, while the rider footboards and rear air suspension bring an extra dose of comfort to the ride. In addition, the Spyder RT-S comes with all of the features and amenities of the Spyder RT.